The Walking Dead: The Final Season - Episode 4 Take Us Back has a lot of highs and lows. With organic situations caused by the player's decisions mixed with questionable situations. It won't please everyone but Take Us Back but provides a sufficient conclusion to Clementine's long journey. Take Us Back has the player attempting to survive the fallout following episode 3. Walkers are everywhere and the group is just trying to make it back to the school. It sounds simple but the horde of walkers and inconvenient situations constantly provide new obstacles for Clementine to overcome. Some of these obstacles are stirring, with tough decisions and others simply happen for the sake of the story. During the journey back an unreasonable about of Walkers constantly horde about Clementine. During the boat explosion, the situation made sense since the Walkers were attracted by the sound but the same situation constantly happens. An overwhelming about the creatures appear out of nowhere with no reason for their presence. Another major problem is pacing. Unlike the first season where the emotional tension builds up and leads to an unnerving and passionate conclusion here is just seems forced. This is the final episode of the entire series and Skybound has done a good job wrapping up Clementine's journey. The ending won't delight everyone as it can be reopened for more adventures easily. However, given the entire series of The Walking Dead the writers did the best they could while remaining loyal to the source material. The same gameplay formula still applies here. 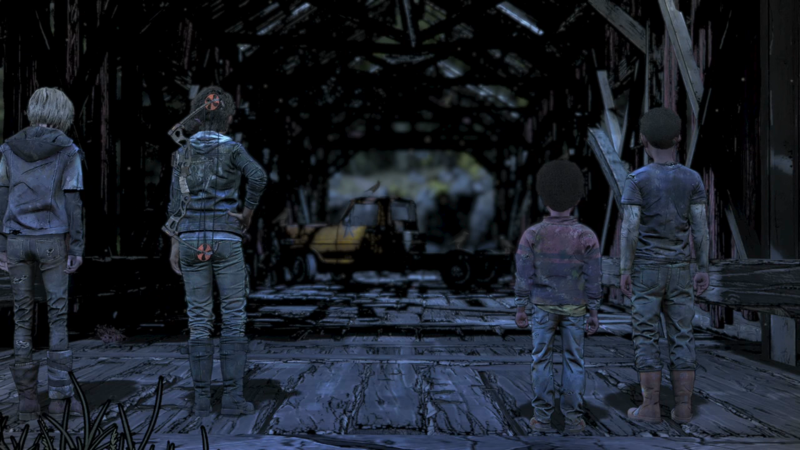 Clementine will make a series of decisions that will impact the narrative, shifting the story based on those choices. In addition, the player will collect optional items, take part in QTEs, and engage in combat. Since this is the final episode of the series some of the choices have relatively immediate consequences for more emphasis on A.J. and Clementine's relationship. Trust and independence are constantly tested as Clementine tries to take charge but begins to realize A.J. is developing into his own person. The multiple ways the story can change also encourages replaying older episodes but this can also be vexing. Since players cannot alter specific choices you'll need to replay entire episodes for alternative dialogue options. And still, no dialogue skip option is available. The developers did include multiple save files, which has been a highly requested feature. 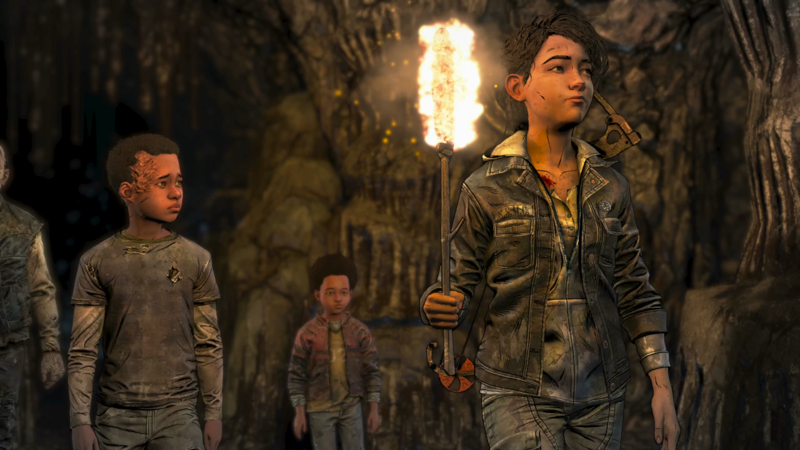 The Walking Dead: The Final Season - Episode 4 Take Us Back provides a comforting ending to Clementine's bloody and emotionally draining story. It does suffer from pacing problems and bewildering situations but those invested in The Walking Dead will find a lot to admire in the closing moments. 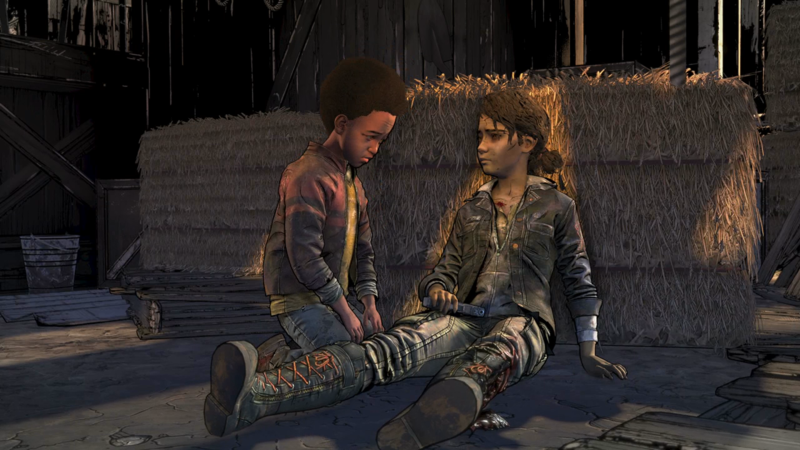 It's not the best episode in Clementine's adventure but it gives this survivor the conclusion she deserved.